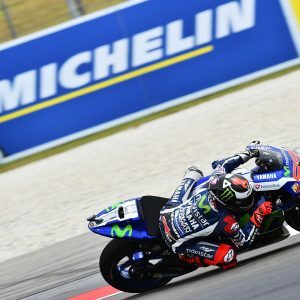 Valencia MotoGP 2016: Michelin is on the way to Spain for the fourth and final time this season as the French company’s neighbours hold host to the 18th and concluding round of the 2016 MotoGP™ Championship and the Gran Premio Motul de la Comunitat Valenciana this Sunday. The traditional season-ending event of Valencia MotoGP is held at the Circuito de la Comunitat Valenciana Ricardo Tormo, situated near the village of Cheste just on the outskirts of the city of Valencia. Its unique design makes it the only stadium circuit on the calendar, with grandstands surrounding all sides of the track so fans can see most of the action from any vantage point. It is this unusual feature that adds to a very distinctive layout over the circuit’s 4,005m distance. Valencia MotoGP Circuit Location. The anti-clockwise design features 14 corners, of which nine are left-hand and five are right-handed and a straight of just 650m, which is approached by a very fast left turn. With the extra left corners, Michelin has brought a range of MICHELIN Power SLICK tyres which will feature an asymmetric design – with a harder left-hand shoulder – for both the front and rear allocation. Available in medium (no band) and hard (yellow band) for the front, along with soft (white band) and medium (no band) for the rear, the tyres are aimed to give the riders the best choice to use in the colder morning temperatures that are common at the circuit in November, right through to the warmer conditions that are usually experienced when race-day afternoon arrives. Michelin’s provision of tyres for the MotoGP field will also include the MICHELIN Power Rain in extra soft (light blue band), soft (blue band) and medium (no band) for both the front and rear, plus the Power Inters being made available if there are mixed conditions or a drying track. Valencia MotoGP Test|The final round of the season gets underway on Friday with two free practice sessions. Saturday will have further practice sessions, before the excitement of qualifying takes place in the afternoon to decide the grid position for Sunday’s 30-lap race. A big crowd is expected trackside when the race gets underway at 14.00hrs local time (13.00hrs GMT) and the excited fans will also be treated to the customary celebratory fireworks that are usually lit by the champions of all three classes – MotoGP, Moto2™ and Moto3™ – at the end of their respective races, all adding to the spectacle and festivities as the racing calendar draws to a close. “Valencia signifies our last race of 2016, but it also means it’s the start of 2017 because we have an important test in the week after the race. We have had an interesting season with lots of different challenges, mostly from the weather, so we are hoping that will not play a part this weekend. We learned a lot from the post-race test at Valencia last year and that set us on our way for 2016 and we will be going to this race with very different tyres to what we had this time last year. Valencia MotoGP circuit can be cold in the mornings and it doesn’t give much grip, so we have a range that we hope will cope with these conditions. That said though, with so many corners the edges of the tyres don’t have much chance to cool down and with the extra number of left-hand corners, including the fast final turn, we have asymmetric tyres with harder left-hand shoulders for front and rear to cope with those kinds of stresses. Are you looking for Valencia MotoGP accomodations and Hospitality? Click here Hospitality and VIP Village at the GP of Valencia with front rank locations and catering, an excellent service and the best of the two wheels Hospitality: this is the MotoGP VIP Village.